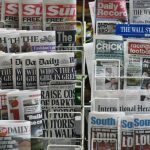 London Centre For Public Affairs (LCPA) has called on International Federation of Journalists (IFJ) to immediately suspend and revoke the membership of UAE Journalists Association and UAE Journalists Association memberships due to their engagement in supporting UAE official political propaganda. 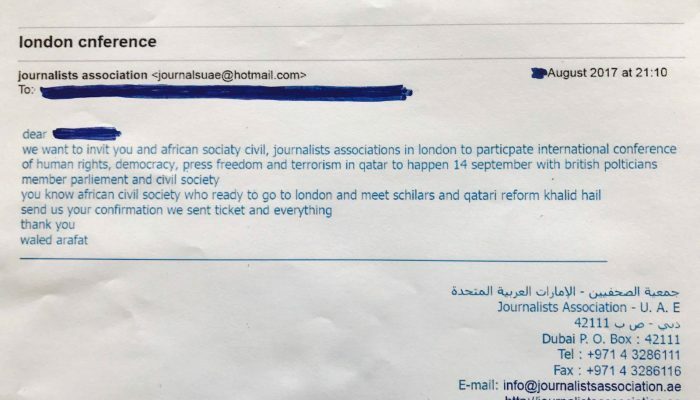 UAE National Media Council has instructed UAE Journalists Association and other local organisations to support the controversial anti Qatar conference. LCPA confirms that the Emirate organisation is liaising with UAE security Service in drawing crowds for their anti Qatar conference titled, “Qatar Global Security & Stability Conference“ scheduled this week in London. 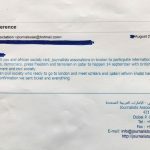 LCPA obtained a document which demonstrates the UAE Journalists Association is involved in organising the fake London event. The organisation is also paying individuals from across the Arab region, UK and Europe to take part in the event. 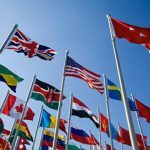 The document shows that the organisation is inviting an individual to attend the event and promised to cover their accommodation, flight and any other cost. 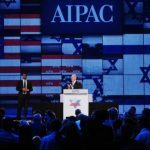 UAE Journalists Association has also been circulating misguiding information for Arab media outlets about this conference in an attempt to make it succeed.